The need for home health aides (HHA's) is exploding in New Jersey; from Ocean County to Camden to Cape May and Atlantic County. Companies providing assisted living services are always in search of qualified HHA's and Certified Nursing Assistants (CNA's). 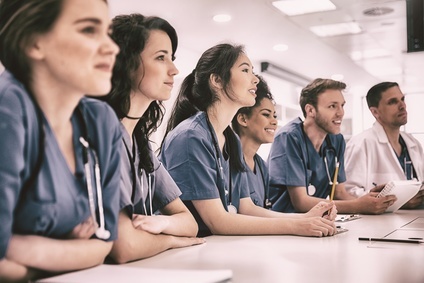 There has never been a better time for someone interested in a health care career to find out more about these entry-level positions. And while there are many similarities between the two positions, there are a few key differences of which you should be aware. CNA's are typically employed at a healthcare facility (hospital, assisted living center, adult day care, etc...) and are under the direct supervision of a nurse and/or physician. An HHA on the other hand visits patients in their homes which includes assisted living centers, which makes having your own source of independent transportation more important to an HHA than to a CNA (who may be able to rely on public transportation to get to their job). CNAs will stay at one location during their shifts while HHAs will travel from client to client. Since HHA's provide services in the home, they normally have only one patient (sometimes two) to care for. CNA's work primarily in facilities and in New Jersey they may have several, even dozens, of patients to attend to every day. Training to become a Home Health Aide is shorter than the training to become a CNA in NJ. CNA's and HHA's are very similar in their job descriptions, their duties, training and other job requirements. Where you work and the number of patients you interact with are the major differences in the day to day jobs of each. Day classes are 16 hours of training not including lunch and testing. They normally run the last two days of the two week day CHHA course, Thursday and Friday 8:00AM to 4:30PM. Evening classes are 16 hours of training and testing. Evening normally runs the last week of the 5 week evening CHHA course. Monday to Thursday 6-10PM. You must have an active NJ CNA license in order to take the bridge program. Sunlight Care does not offer Certified Nursing Assistant training. If you want to learn more about becoming a home health aide in New Jersey, review the information on this web site to find out about both our online training and in-person training classes.